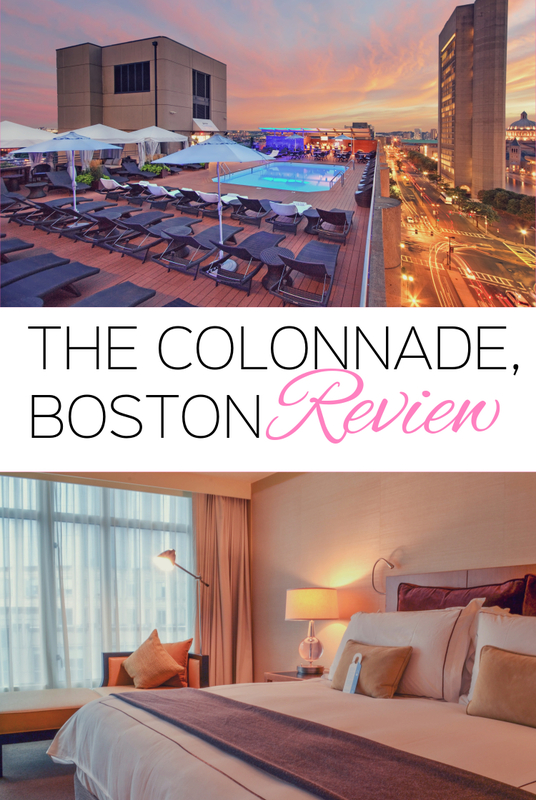 Another stop on my mini tour of America’s east coast last year was Boston and my home for the weekend was The Colonnade Hotel, a sophisticated spot offering a contemporary retreat in the city’s downtown area. Found in Boston’s Back Bay, The Colonnade is situated between residential districts and the city’s main shopping hub. 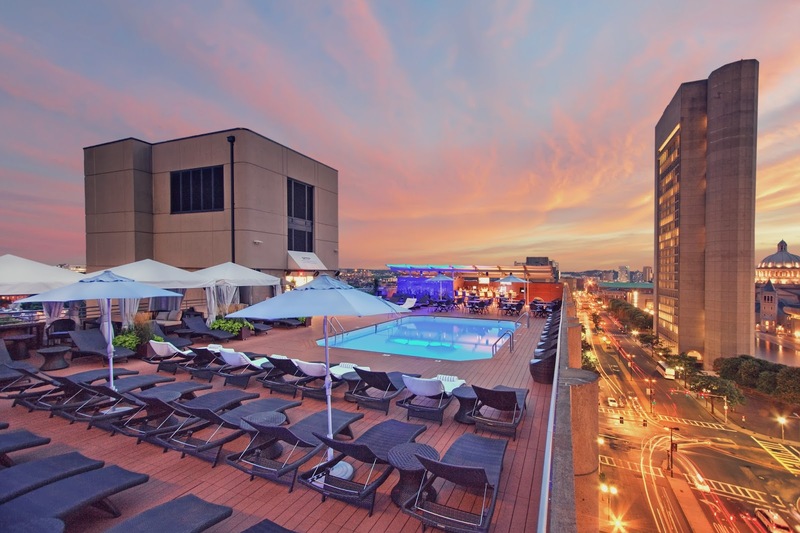 It’s also right opposite the Prudential Center, home to Boston’s best sky bar and is just a half an hour stroll from the main freedom trail area. 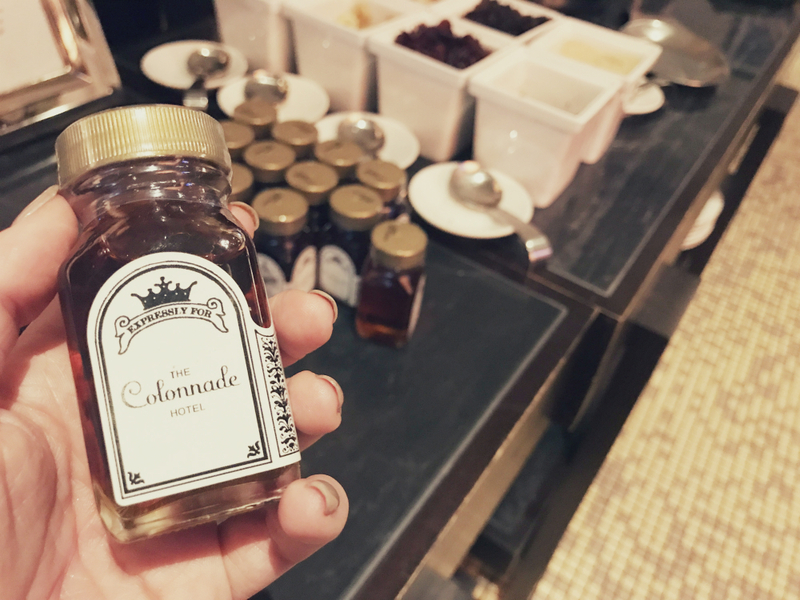 The Colonnade has all the sleek sophistication of a big chain but with much more of a local Boston joint feel. Whether it’s Norman the doorman who has been greeting guests for over 15 years or Joe behind the bar and his crowd of loyal regulars taking residence come 6pm, every member of the team feels Boston through and through. 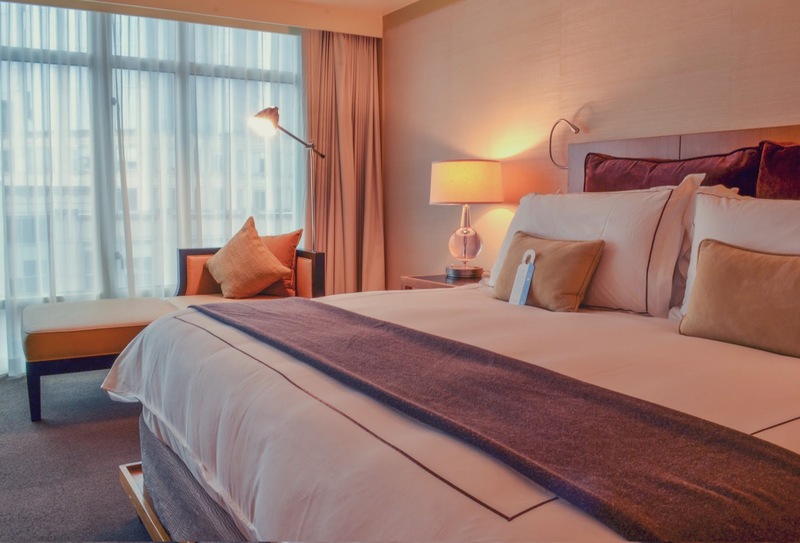 Combine this with stylish, lux looking interiors, extremely helpful and efficient service and a claim to the city’s only rooftop pool and it’s not hard to see why some of the hotel’s previous guests include everyone from former presidents to Frank Sinatra. 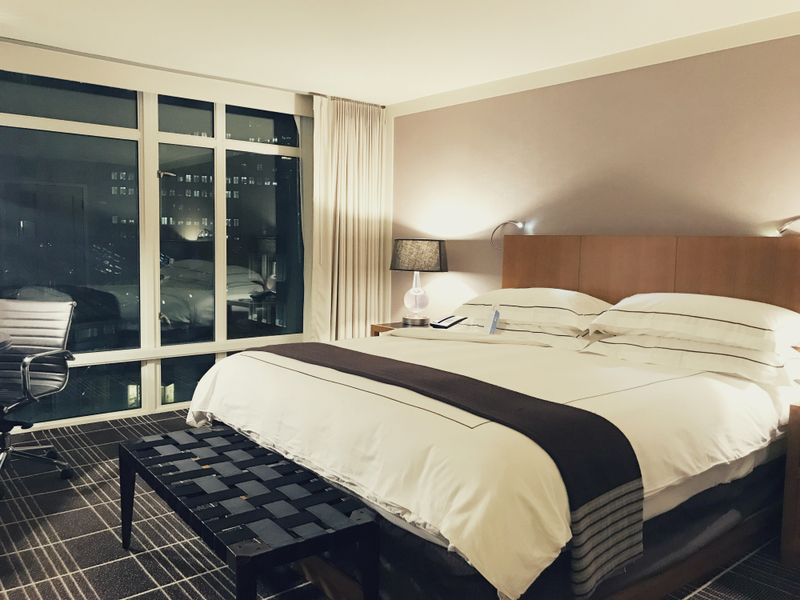 One of the best bits about each of The Colonnade’s 285 guestrooms and 9 suites is they are all complete with floor to ceiling windows, offering some of the best city views in town – they are also soundproof meaning light sleepers don’t need to worry about being kept awake by the city buzz. Design lovers may be underwhelmed by the dark woods and neutral colour palettes in the rooms themselves but there is no compromising when it comes to comfort with some of the biggest fluffiest pillows I’ve slept on. From May 2018 they will also offer Google Chromecast, meaning you can stream all your snaps from the day straight onto the TV or chill out and catch up on your favourite Netflix show after a day sightseeing. The hotel restaurant Brassiere JO is renowned for being one of the best french restaurants in the city serving up classics such as chicken coq au vin, parisian steak and mussels riesling marinière under world famous chef, Jean Joho. If you can’t get there for dinner, don’t leave without spending an hour chatting to the back bay locals with bar manager Joe. Snack on one of the tarte flambées (which is essentially a very tasty French take on pizza) and make your way through the selection of cocktails on offer. I’d skip breakfast and instead sample one of Boston’s brunch spots whilst exploring – although it may be worth dropping in for breakfast just for one day to get your hands on the super cute little pots of homemade maple syrup. The Colonnade offers something extra special for pet lovers with its VIP Pets service. Select rooms are not only pet friendly but also come complete with a host of treats for your furry friend including their own bed, three brands of pet food and dog walking facilities available. 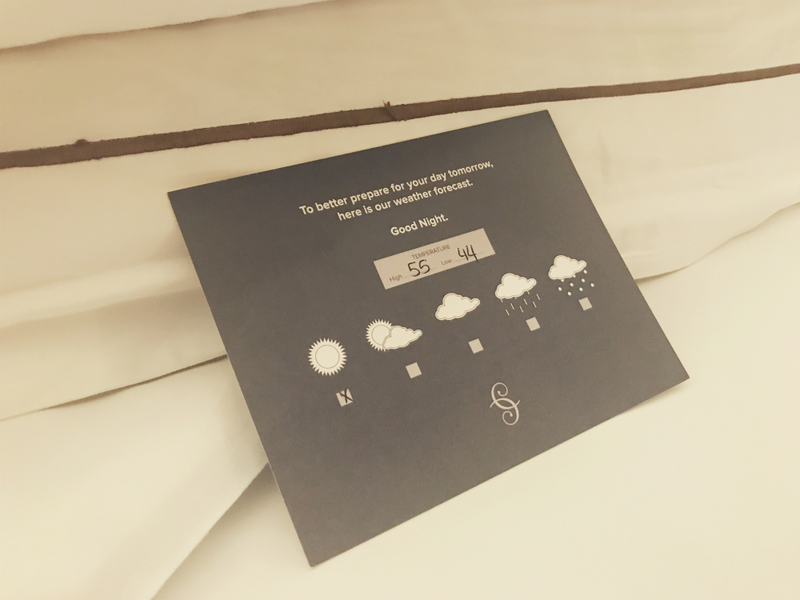 For us humans they have a couple of nice little touches too including the next day’s weather forecast left on your pillow in the evening and a complimentary rubber duck to take home with you. The Colonnade mixes all the grandeur of a luxury chain with the humble and down to earth approach of a boutique hotel. 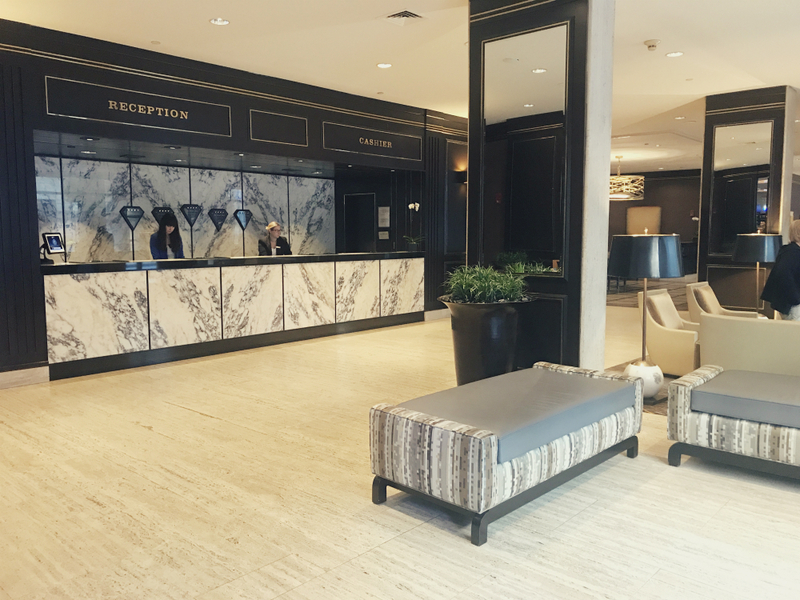 The friendly and very locally knowledgable team are a real stand out feature and provide guests with all they need for a real Bostonian experience.